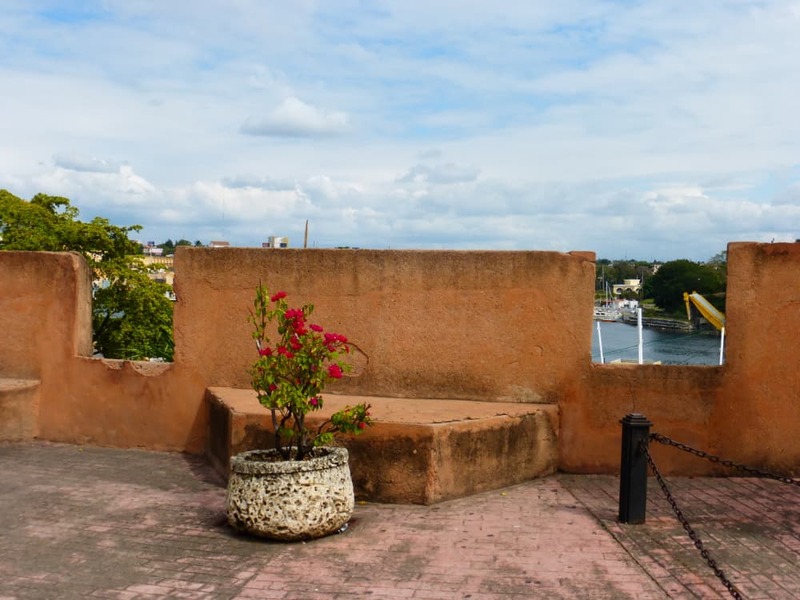 Visiting the Colonial Zone is a must-do day trip in Santo Domingo, Dominican Republic. But the day is all the better with a guide. Looking at the gorgeous colorful buildings and plazas is one thing, but understanding the place and its rich and embattled history brings it to life. We were able to visit the city with a very knowledgeable guide, who put Santo Domingo in its historical context gave us a much better understanding of this beautiful island — and got us to question our own history lessons. We started at the house of Diego Columbus (Alcázar de Colón) at the Plaza de España. This lovely enormous home (now museum) was constructed in the early 16th century for Christopher Columbus’s son Diego. 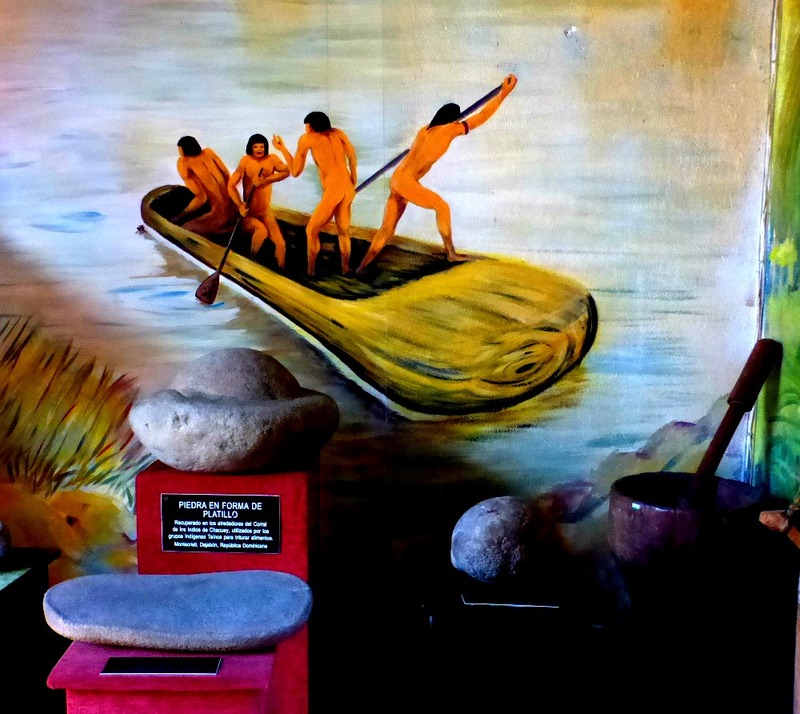 While we learned in grade school that Columbus “discovered” the Americas, the native Taino inhabitants who were already here probably felt differently. Their experience was of being enslaved and forced into hard labor while being exposed to disease and essentially wiped out of existence. Prior to Christopher Columbus famous voyage, he had an agreement with King Ferdinand and Queen Isabella of Spain regarding his exploits on their behalf. He was promised that he would be given the rank of Admiral of the Ocean Sea and appointed Viceroy and Governor of all the new lands he could claim for Spain. He would additionally be granted 10% of all the revenues from the new lands and the option of buying one-eighth interest in any commercial venture and one-eighth of the profits in this venture. However, rumors of his incompetence and abuses of power reached the Queen in 1502 leading her to dismiss Columbus and call for his arrest. He was returned to Spain in chains and died several years later, penniless and forgotten. His son Diego fought a lengthy legal battle and was eventually successful at having the initial agreement upheld. He went on to become the wealthiest man in the Americas, complete with all of the titles that would have been bestowed upon his father. 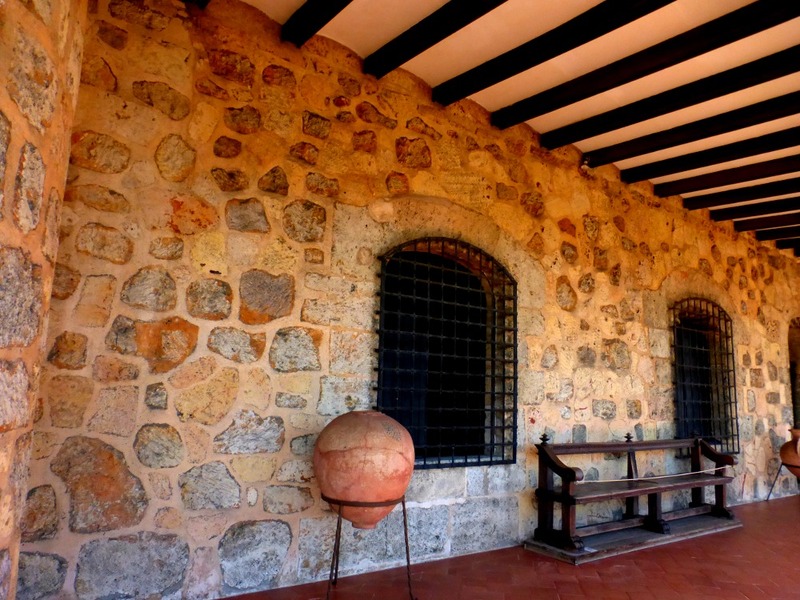 But having this tumultuous history has also earned Santo Domingo the title of the First Capital of the Americas. The Colonial Zone is home of many reminders of its past and is the center stage of the country’s efforts at revitalization. Restored remains of the first hospital built in the Americas. 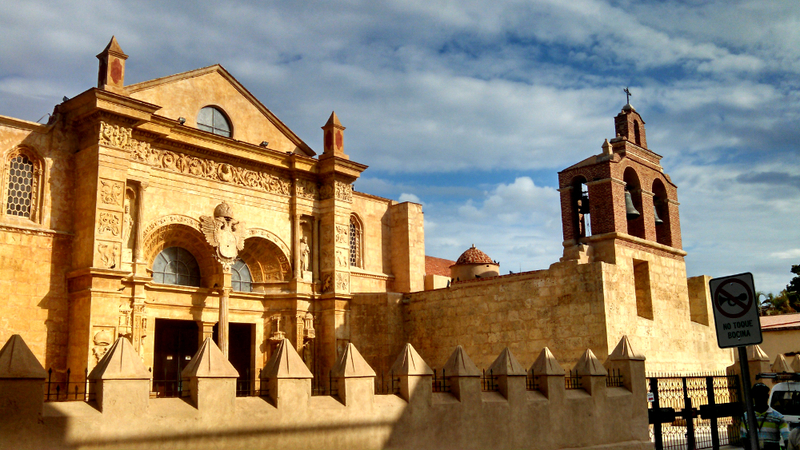 Construction of the St. Nicolas of Bari began in 1503. 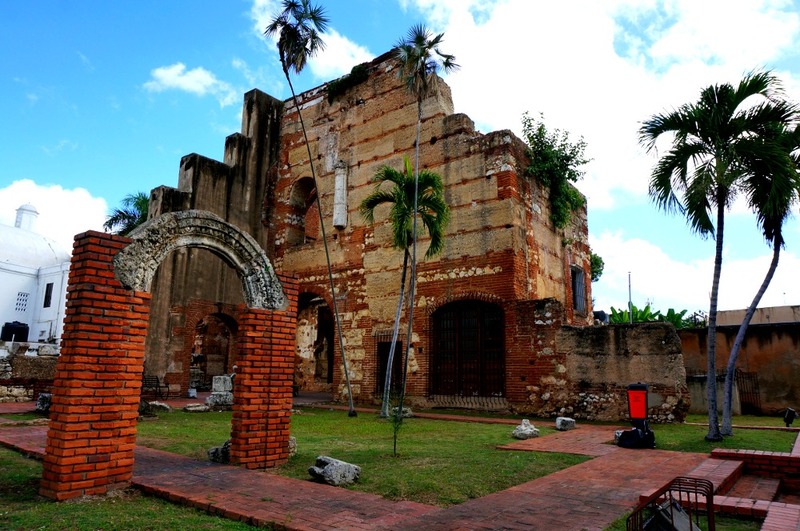 Convento de los Dominicos was constructed for housing Dominican Monks who first arrived in 1510. You can see the coral stone used extensively as a building material at the time. Now the Dominican Republic is putting a huge effort into restoring the Colonial Zone and making it a first class tourist destination. Not any easy task after hundred of years of looting, numerous uninvited guests overstaying their welcome and several earthquakes. Despite the obstacles, there is now a pedestrian plaza where you can stroll along and shop or sample the local cuisine. You can even buy a sample of the local drink Mamajuana – a mixture of rum, red wine and honey combined with tree bark and herbs. It’s said to cure all that ails you, or to stop you from caring about whatever ails you, whichever comes first. Right now, the streets are also getting a huge makeover. 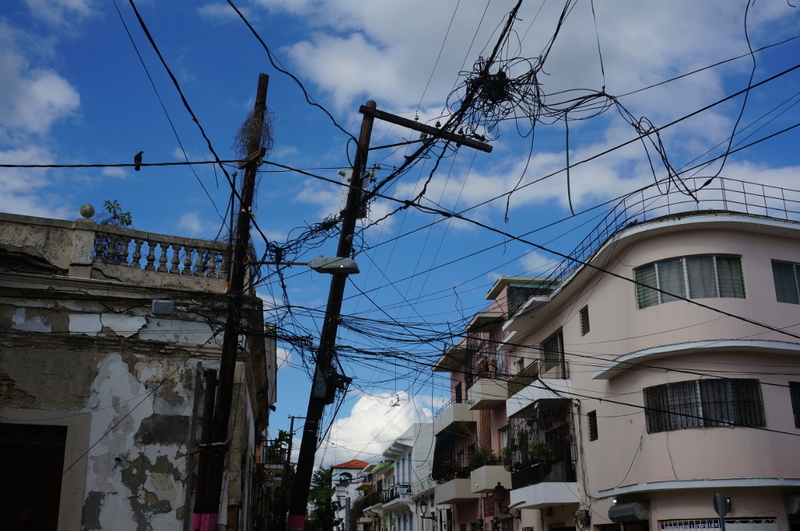 One big problem the plagues Santo Domingo are the power and phone lines, making the area looks a bit precarious and chaotic, taking away from the simple beauty of the area. The lines are now being buried underground to make the colonial zone look…..more colonial. There are many restaurants to choose from in the area, including several in the Plaza España with outdoor seating. 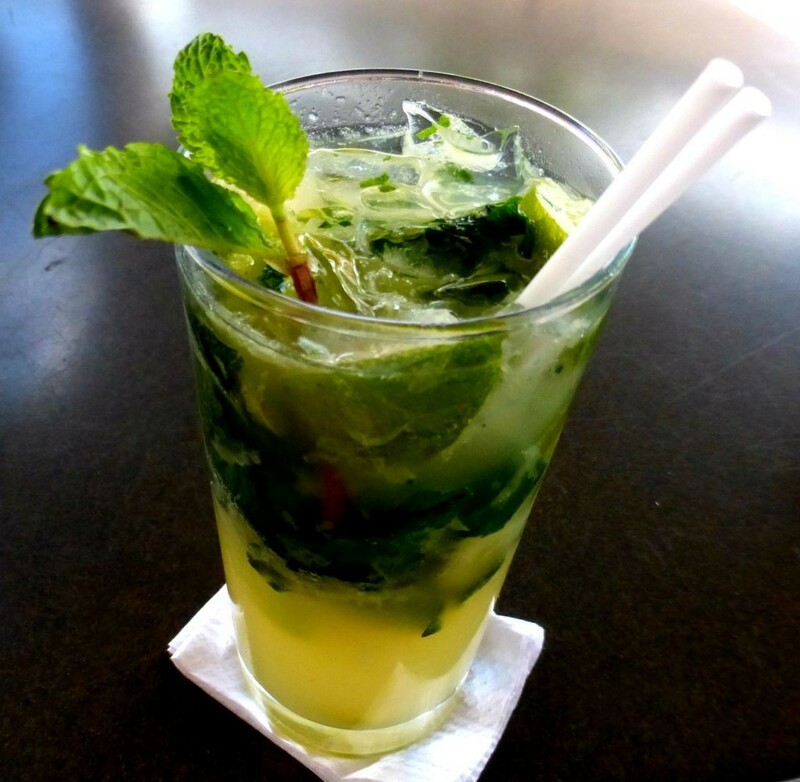 We can vouch for the exceptional mojitos at Angelos, which go perfectly with a warm sunny day in the Caribbean. On the way back through town, we stopped at the Chocolate Museum where we got to sample while learning about the important role this delicacy played in the history of this county. Columbus’s son, Ferdinand, wrote of an encounter with the Indigenous Taí­no hauling cacao beans and other goods to be traded in 1502. According to Ferdinand : “They seemed to hold these almonds (referring to the cacao beans) at a great price; for when they were brought on board the ship together with their goods, I observed that when any of these almonds fell, they all stooped to pick it up, as if an eye had fallen.” (source: http://www.authenticmaya.com/cacao.htm ) Unfortunately, he witnessed this event while the Spaniards stole all of the goods from the Taí­no including the chocolate pods, the canoe they were rowing and the Taí­no themselves. Primitive tools used by the indigenous Taino people for activities such as grinding beans for chocolate at the time of Columbus’s arrival. A stroll through the Colonial Zone is relaxing enjoyable day, but is less of a complete experience without understanding its past and hopes for the future. We were provided this tour by Tequia Experiences. Our guide, Paula Soriano, a native to Santo Domingo who is as equally passionate and knowledgeable about her island home. Thank you Paula for showing us this amazing place and giving us a glimpse of Santo Domingo that we would have truly missed if we did not see it through your eyes. I love the history you entwined with the story. It give you a much better feel for the culture. I really love all the blog posts you have written on DR. Thanks for the reminder that DR is so rich in history and culture. Normally all I hear about DR is Punta Cana and all-inclusive resorts. Anyway, I’m in awe seeing your picture of Diego Columbus’ house. Looks more like a fort. Granted, the beaches of Puna Cana are gorgeous, but it’s too bad more people don’t take some time delving into the amazing history. Hopefully this will change. Another great article that has me enthralled while battling the snow here in Maine. Your photographs are outstanding, They make me want to hop a plane today. The history of the DR shows once again what happened to South America and Mexico. One can draw a parallel to much world news now except for the diseases. Amazing how History glosses over these things, isn’t it? Looks like a visually attractive place though, even if the history isn’t always pretty. Yes, another example of how history is “rewritten” by the victors. I think it was good for everyone that you took a guide because it allowed us to get a better feel for the history Santo Domingoâ€™s Colonial Zone through your writing. It sounds like a very interesting trip and you managed to get some beautiful pictures. I also really want to try Mamajuana, it sounds like a great drink! Thanks for sharing so much of the history of Santo Domingo. Your guide certainly was well worth it. All that you learned and shared with your audience makes the story much more special. I find that the more I learn about Christopher Columbus the more I wonder why he has been celebrated for so long. Perhaps time will take its toll on this bit of history. It looks beautiful and the history is really interesting, having the guide would have made all the difference. I’m glad to hear that they’re putting a lot of effort into restoring the Colonial Zone – this sounds like a really interesting day. Absolutely agree that exploring a city or a part of a city is only half done if you don’t fully appreciate and understand the history which goes along with it. We’re all for exploring new cities on our own for the freedom and flexibility of solo travel, but in some instances guides are totally well worth it. Thanks for the great post! I think taking a guide sometimes is a great idea to give you more insights and a better feel about the place you are visiting. And colonial zone do have quite a lot of history (sadly often terrible history). Thank you for sharing, it’s also important to get this type of information about a place. It looks like a dream come true, amazing pics!!! Having a guide really does help you experience a city in a different way. 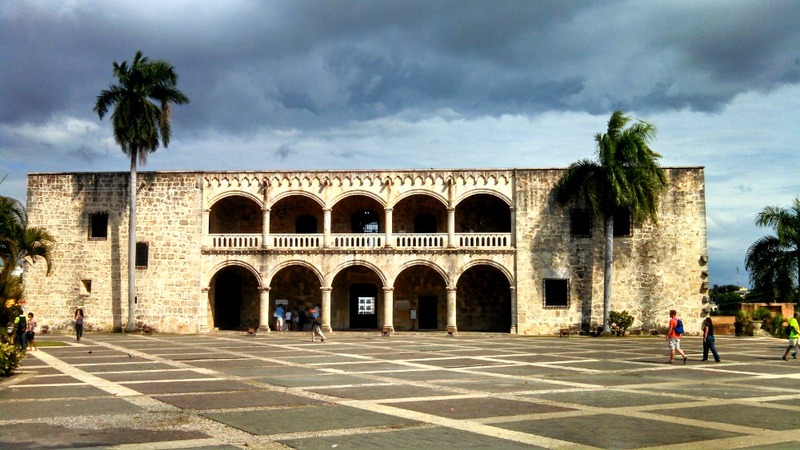 It looks like you had a wonderful time learning the history and seeing the beauty of Santo Domingo. You have such beautiful shots here – I’ve shared this post with my Facebook fans too. Just gorgeous. I loved reading your detailed history which makes the beautiful photos come alive as well. Lots of interesting tidbits and facts which aren’t commonly taught. I also appreciate the commitment to authenticity and esthetics in the Colonial Zone extends to getting rid of the exposed power lines. Beautiful! I am going in June so I will check this out! 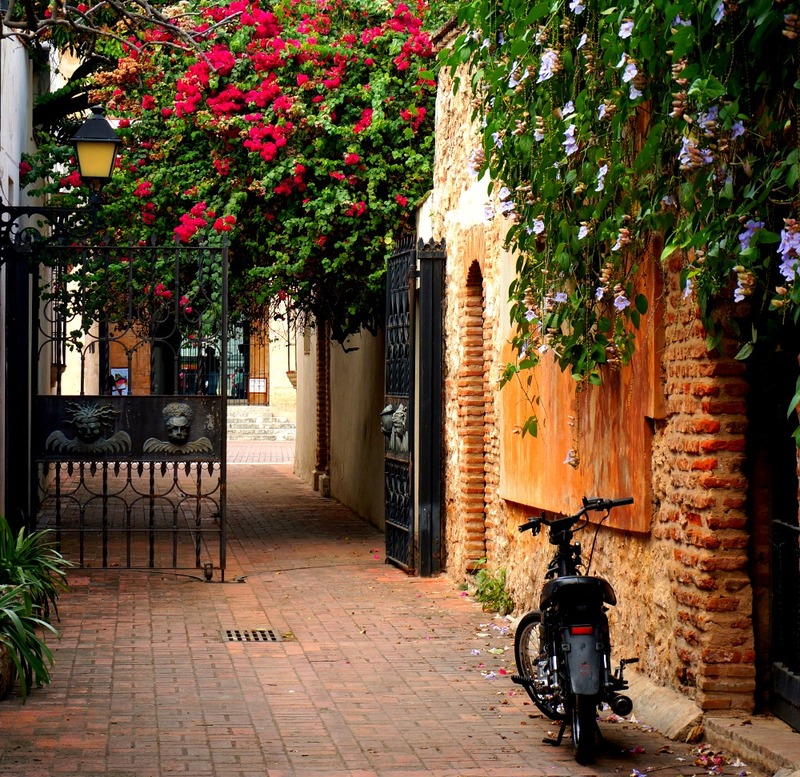 I would love to go to Santo Domingo…your photos are gorgeous! So jealous! Looks beautiful and love the historical charm about the city. I would love to visit soon as Dominica has been on my radar for too bloody long.